In anticipation of future competition, changing market dynamics in Europe, the limited success of Gazprom’s pivoting to China, and the phasing out of long-term contracts, Gazprom has followed through with a strategy of doubling down on Europe and securing its future market share by launching Nord Stream II and Turkish Stream. In doing so, the Russian gas giant is enacting a “pincer” strategy aimed at eliminating the need for the gas to transit through Ukraine. This would remove the transit risk based on political quarrels between Russia and Ukraine. What’s wrong with that you might ask? 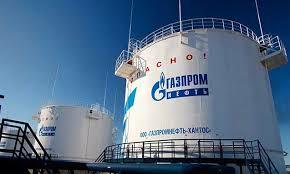 Well, there is more to Gazprom’s strategy than meets the eye. Finally, Gazprom is pursuing Nord Stream II and Turkish Stream as they would strengthen Gazprom’s grip on its key market. Russia’s ambition to export gas to China seems to be a pipe dream for the moment. Although having signed a largely political agreement, Beijing has not committed to any concrete terms as it pressures Russia on accepting a much lower-than-requested export price. The Chinese understood perfectly at the time that Moscow needed them much more than vice-versa. After all, China has plenty of alternatives. By 2020, it wants to buy 65 bcm/yr from Turkmenistan and LNG exporters have been arm-wrestling each other for a slice of the Chinese market for years.